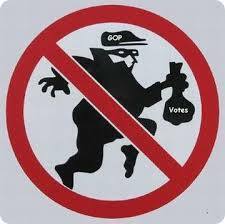 A Tangled Web » Blog Archive » Republican Voter Fraud in North Carolina? Republican Voter Fraud in North Carolina? On December 4, there’s on House race that’s still not decided. It’s in the ninth CD in North Carolina. The vote tally shows Republican Mark Harris winning in a close election. But the election commission has not certified the result, due to allegations of widespread voter fraud involving absentee ballots, in what looks to be black neighborhoods, as organized by Leslie McCrae Dowless, a GOP operative with a criminal history. Mr. Trump has made numerous, unfounded allegations of widespread vote fraud by Democrats in recent years. But here we apparently find evidence of actual voter fraud, in a red state. But no 6am tweets from you know who. Did Trump hold a rally for this guy? Trump apparently made not one but two personal appearances in Charlotte NC in support of Mr. Harris. Trump has been working to boost vulnerable Republicans ahead of the Nov. 6 elections that will determine which party controls Congress.This was Trump’s second visit to Charlotte in the past two months, both times to support Harris, a North Carolina 9th Congressional District candidate. “Get them to Washington fast!” Trump told a crowd in Charlotte, North Carolina, on Friday. Trump says Harris will vote to protect jobs, cut regulations, secure the border and stop illegal immigration. Harris, who is facing Democrat Dan McCready, predicts that Republicans will keep control of both the House and Senate. Well then he should be pressed on it. And then when they lose they use the lame duck sessions to try to reduce the power of the incoming Democratic governors. Another type of election fraud, by the very moral swamp drainers. Mr. Trump has made numerous, unfounded allegations of widespread vote fraud by Democrats in recent years. “Founded”. The Democrats are so bad that international observers are now required for American elections. Phantom, drop the independent schtick. We can all see which side you bat for. I notice that the slippery eel has no comment on the allegations of fraud in NC. Waiting for GOP talking points from Kellyanne? North Carolina law sets a standard for a re-vote that doesn’t require a finding that cheating changed the outcome. The election board can order a new election if improprieties occurred that “taint the result” and “cast doubt on its fairness.” Pending the conclusion of the board’s investigation, it’s hard to see how that standard won’t be met. Republicans won’t like it, but they should probably want to start over, for the sake of the integrity of their own nominating process, if nothing else. In the GOP primary for the seat, Harris won an equally narrow victory over the Republican incumbent and an even more smashing Dowless-engineered victory in Bladen absentee ballots, 437 to 17. The larger lesson here is that people will exploit vulnerabilities in the election system, and it should be as secure as possible. Absentee voting is a particular soft spot. It occurs outside the watch of election officials, and it’s impossible to determine what happens to the ballot in between the time it leaves and returns. Although usually not as extensive or consequential as what may have transpired in North Carolina’s Ninth District, vote fraud often involves absentee voting, and exploiting poor and vulnerable voters. In October, four people were indicted in Texas on 30 felony counts of targeting elderly voters in a fraudulent mail-in voter scheme. Rules should be rigorous, and it’s insane that the sort of vote-harvesting that Dowless engaged in — that is, a private party collecting the ballots of voters — is perfectly legal in California. This issue isn’t going away. It is deeply interesting that the first major instance of election fraud this cycle has been done by Republicans. A second election must be held, this result is 100 percent tainted. I support rigorous rules, including Voter ID, a common sense step that Democrats oppose. I think that you will often see that partisans will accuse others of doing the things that they themselves do. 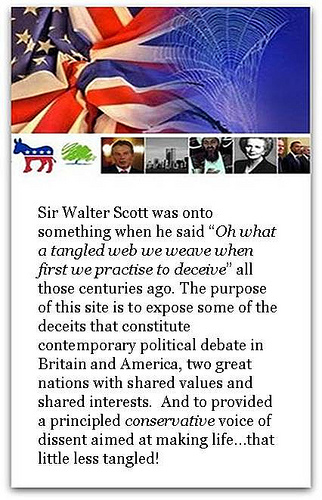 yes good job starting with a lie……..
Facts really aren’t your strong suit are they….. I love you two the bobsy twins one lies and the other one swears to it……. and I’ll bet whatever republican gets nailed for this as they should they don’t get to cry racism and retire with benefits like the witch in Florida. Did you read the link you provided? Or should I say can you read the link you provided? Broward County 2018 was likely a case of systemic incompetence on their part. There was no evidence that I’ve seen for election fraud there, including from the news article you present, which doesn’t speak of any fraud. I think that someone feels threatened, because his party has done exactly what they accuse everyone else of doing. follow the facts….. Broward county was fraud just as there was in 2016. It was a national disgrace the same woman that screwed up 6 other elections with phoney counts got caught again doing it…..
As of Thursday morning, thousands of ballots remained to be counted. Snipes claimed that this was because of the high volume of mail-in ballots which arrived before the deadline on Tuesday. Both Snipes and Bucher claim that few ballots remain to be counted, according to the Florida Sun-Sentinel. The Elections Canvassing Boards of Broward and Palm Beach Counties were set to meet Friday afternoon. New York Times reporter Patricia Mazzei captured video of protesters chanting “lock her up” about Snipes before the meeting in Broward. I didn’t pick a rightwing source so you couldn’t complain but you did anyway…..
ok so no fraud took place in Broward county…… you don’t see it. Lawyers from all sides saw it, the Press saw it, the voters saw it, but Phantom didn’t so ignore a full weeks worth of news coverage about it ladies and gentlemen the god of truth…. Bubble Boy says it didn’t happen….. The electoral commission of Broward County are guilty of gross incompetence over a period of at least 18 years. They still don’t have their act together on anything. Attack them for on that, not on something that there is no evidence of. The article indicates incompetence not fraud. Patrick calls it “fraud” because his president and some talk radio fakirs said that. You have concrete grounds to attack these hanging chad morons on, and instead you focus on the imaginary.